CLEVELAND (AP) — The Indians will rock red jerseys next season for the first time since the 1970s. The team unveiled a new alternate home jersey on Monday. 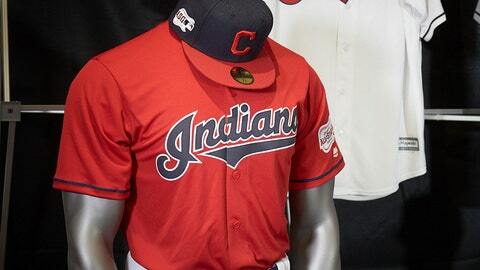 It’s a red top scripted with “Indians” on the front that Cleveland occasionally will wear for home games in 2019. The Indians last wore red jerseys from 1975-77, when they wore red pants that won’t be making a comeback. Next season, for the first time in 70 years, the Indians will not have the contentious Chief Wahoo logo on their uniforms. The club has been phasing out the highly debated caricature for years before striking an agreement with Major League Baseball to discontinue using it on uniforms. The Indians will continue to sell “Wahoo” merchandise at their team shop. Cleveland’s caps as well as its home and road jerseys will feature the guitar-shaped 2019 All-Star Game logo. Cleveland is hosting the 75th event in July.